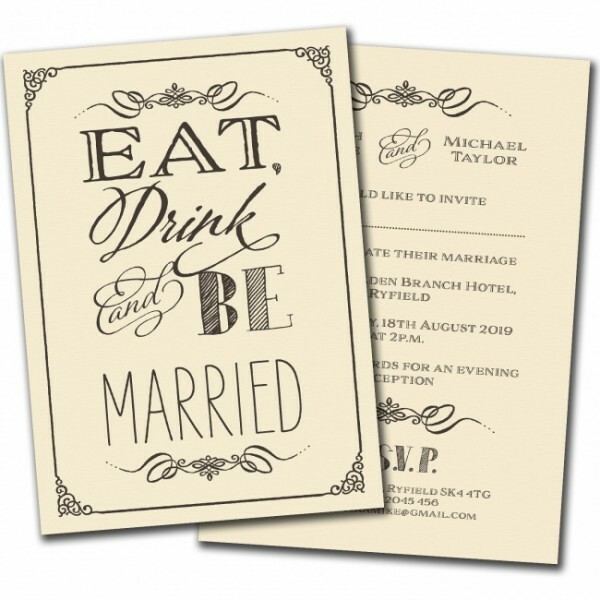 Set the tone for a fun, celebratory wedding with the perfect mix of personality and vintage elegance. 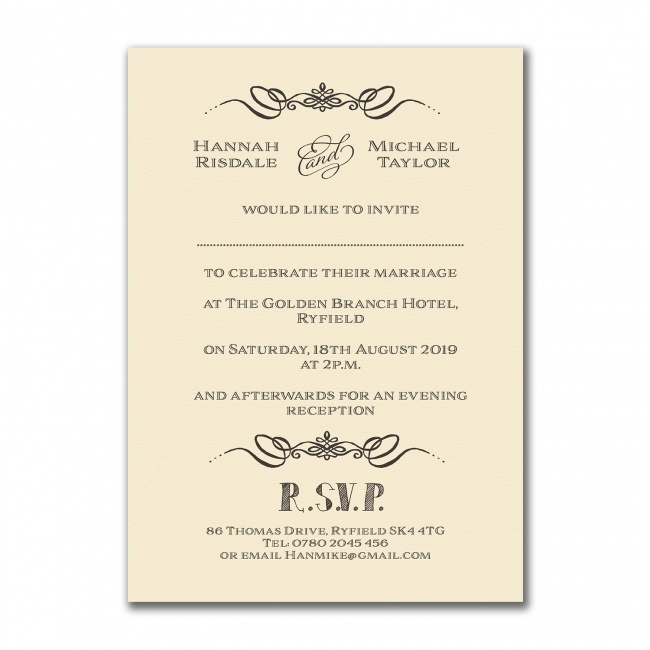 Printed on 350gsm ivory bridal stationary in rustic brown ink, elaborate scrolls twist and curl with trailing dots, framing a charming display of mixed fonts. 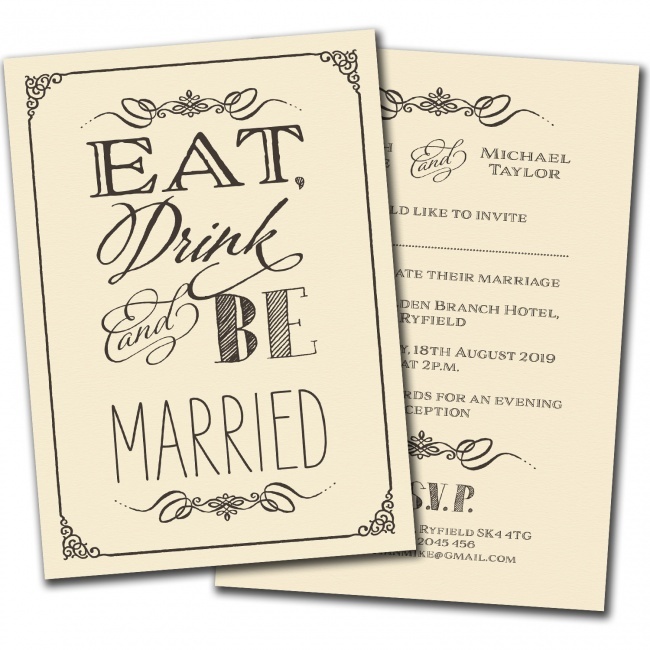 ‘Eat, Drink, and Be Married’ puts a charming twist on the usual phrase and brings a touch of joy and humour to the 120 x 170mm wedding invitation. Each word features its own font for a homemade, relaxed feel while the smooth, silky touch of the paper reveals the professional quality. With elaborate, curling calligraphy, crisp capital letters, and youthful shaded block lettering, there’s something for everyone! On the backside, the invitation is fully customized with your information in a clear, centered format and proofed for a perfect look. This invitation speaks for itself and immediately brings cheer and joy to all guests as the accompanying white envelope is sliced open and messages of warm celebration and love tumble out.